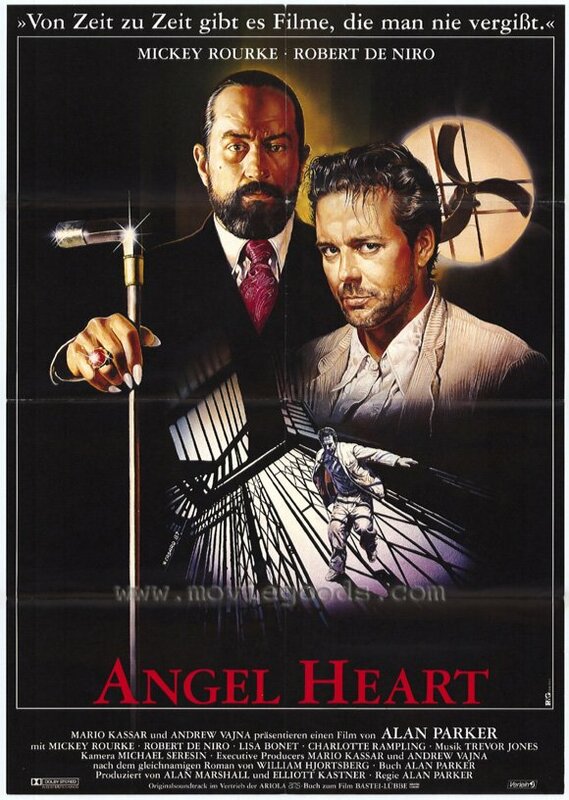 A movie filled with paradoxes Angel Heart is one of the most frightening movies I've ever seen.The reason it is frightening is if only for the ending.But the script and the direction leads up to that critical point and even if you have figured it out by then, you are still mesmerized by the last shot of Deniro. This movie is unique in the fact that almost every shot, every frame has another meaning to it.There is always something lurking behind the forbidden creeking doors of your mind, waiting to jump out at you.But it never does.It never becomes obvious and obtrusive.The script is too smart for that and it lets you pick up on things for yourself.Take for example the ominous use of fans in the film.Why are they there and what purpose do they serve?There is a reason for them and it is not because the characters need to stay cool in the literal sense. 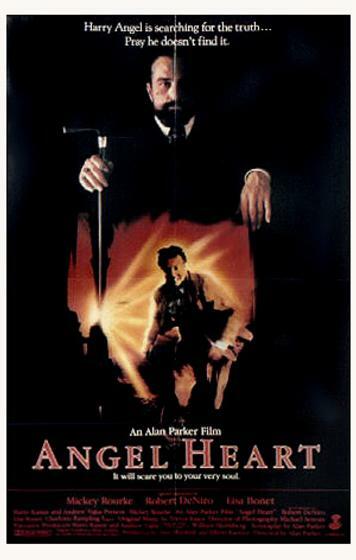 Take the name of the firm that hires Harry Angel to search for his missing party.Winesap and Macintosh.Strange names indeed, but a clever twist on words.There are also many shots of split images.Why? This movie is so atmospheric and brilliant that you really have to watch it more than once to fully appreciate it.I know I did. 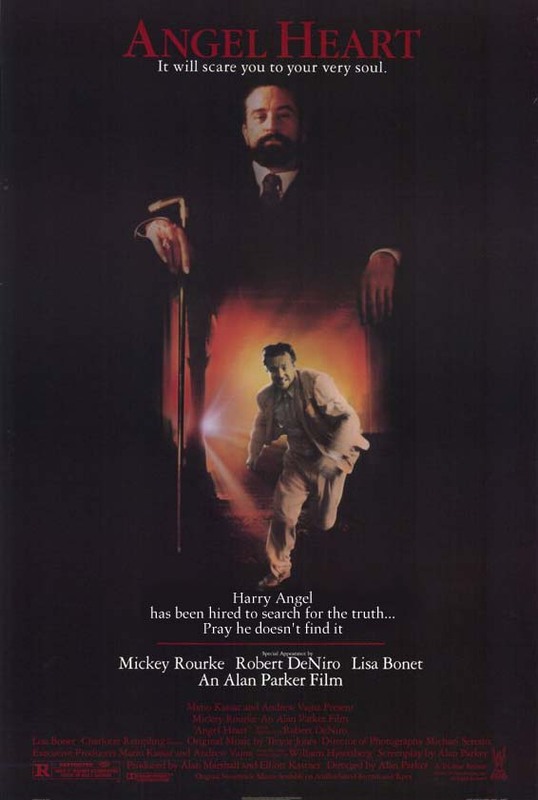 Then there is the performances.Mickey Rourke was born to play Harry Angel and Deniro plays the most sinister character I have seen in film in years.He is sinsiter not because of his known intentions, but because of what is unknown.And he has some great lines.For example " they say there is just enough religion in the world to make men hate one another but not enough to make them love. "How true.And " How terrible is wisdom when it brings no profit to the wise. "Truly brilliant stuff.This is one terrific hidden gem!